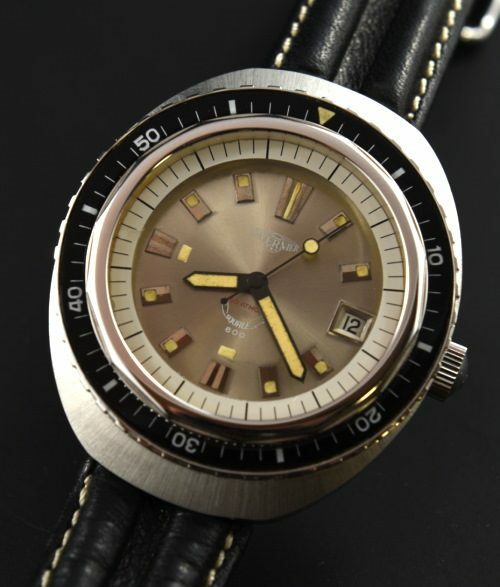 Here is a large vintage Squale 600 diving watch called the “Tavernia” and measuring 43.5mm. The steel case with screw back and turning bezel is stunningly clean. The original dial, hands and lume looks spectacular! The automatic winding movement was just cleaned and is accurate. The crown is original. The crystal is sapphire. Notice the case back engraving indicating the watch was good down to 1920 feet! 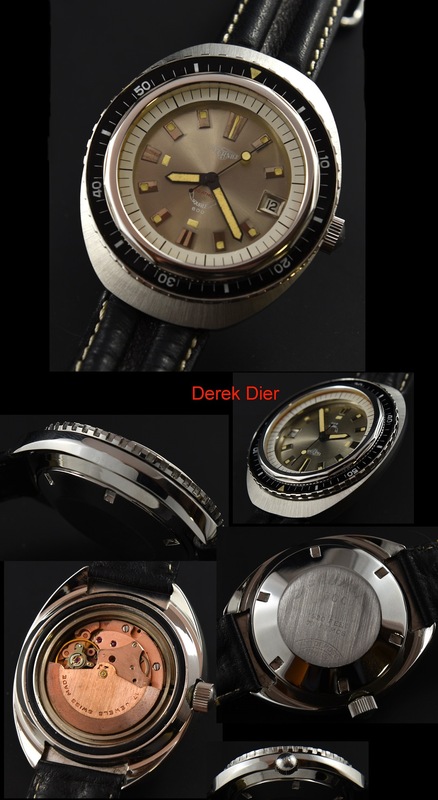 This is an uncommon and very fine dive watch in excellent condition.